Repairs and conversion works in way of all ships internal and external structures including bulbous bow / skeg steel repairs. Capabilities to work on and weld (Coded Welders) all naval grade materials from grade ‘A’ to high tensile steels. Undertaking approved paint manufactures wet grit blasting, UHP techniques, tank coatings works, application of all types of paint schemes from conventional to specialised applications. Highly experience team of fitters dedicated to the overhauling of vessels propulsion systems i.e. tail shaft / rudder withdrawals, propellers (fixed / variable pitch), thrusters (fixed / retractable), CPP systems, water jets and alignment of shafts and rudder lines. Electrical installations of all types including automation systems, repairs and overhauling of electrical motors, electrical switchboards and navigational equipment. Fully equipped in-house workshop catering for all types of machining works being lathe, milling, boring, in-situ machining works including full range of precision measuring tools. In-house capabilities for erecting complex scaffoldings to suit areas of repairs in way of ships internal and external structures. Comprehensive experience in Scrubber, Ballast Water Treatment systems and LNG retrofits. Gibraltar is conveniently located at the crossroads of the Mediterranean and Atlantic shipping lanes. Minimal deviation for ships in these waters, a year round dry climate ideally suited for outdoor ship-work, and fast transport links all make Gibdock the perfect location for shipyard services. The Gibraltar Port together with it’s experienced network of maritime agents offer a full range of bunkering, husbandry marine services and excellent crew exchange facilities. Gibraltar’s airport is less than 15 minutes from the yard, with a further 3 airports less than two hours away in Southern Spain. Comprehensive local infrastructure for materials, technology and commercial services. ​​Gibraltar’s airport is less than 15 minutes from the yard, with a further 3 airports less than two hours away in Southern Spain. Fast road access to mainland Europe. Gibdock Ltd is committed to upholding ethical business practices throughout the workings of the company and so have developed and achieved related policies, procedures and objectives with the ultimate aim of delivering a quality product, on time and in a safe manner. We are an equal opportunity employer, with employee welfare always in mind, and safety always as the foremost top priority within the company. As such, Gibdock Ltd successfully transitioned to the new ISO 45001:2018 standard shortly after it was officially published which certifies the proficiency of our Occupational Health and Safety Management Systems, after holding OHSAS 18001 certification since 2009. We recognise the importance of minimising our environmental impact and protecting our natural environment, and endeavour to keep trying to reduce our carbon footprint, improve waste management by increasing recycling practices and continue to research innovative ways to reduce our impact onto the surrounding areas. As such, Gibdock was awarded the ISO 14001 certification in 2009 and successfully transitioned to the new ISO 14001:2015 in 2017 as testament to our commitment to safeguarding our environment. Gibdock also verifies that our subcontractors and suppliers operate within the Green Passport Standards regarding the IMO Guidelines on Ship Recycling. Quality of our product is key to our success and we strive to achieve this on each and every project. With customer care in mind, we endeavour to deliver a professional service of the highest of standards, safely and always on time. As testament, we hold the ISO 9001 standard since 1998, and successfully transitioned ISO 9001:2015 in 2017 proving our commitment to quality for the conversion and repair of vessels in dry dock up to 75000 tonnes deadweight and up to 30000 tonnes dead weight at repair berth afloat. We are dedicated to protecting human rights and upholding ethical labour practices. 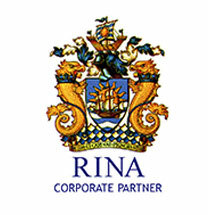 We ensure that our company does not directly or indirectly violate human rights by requiring that our subcontractors and suppliers are in compliance with the Ethical Trading Initiative Base Code which is founded on the conventions of the International Labour Organisation which is an internationally recognised code of labour practice. As one of the largest employers in Gibraltar, we are committed to the regeneration of a locally skilled workforce within our community, and so, run an apprenticeship training programme in partnership with the Government of Gibraltar. As well as this, we invest in our own Undergraduate Scheme where we offer summer internship experience and provide support for University students within the naval and engineering sector, together with potential employment opportunities upon qualification. Finally, we treat security onsite and beyond as critical. 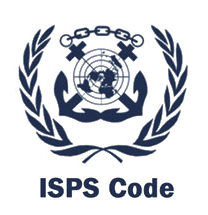 We are dedicated to safeguarding against the most common cyber threats as certified by Cyber Essentials and we fully comply with the International Ship and Port Facility Security (ISPS) Code as set out by the International Maritime Organisation (IMO) which ensures there are a comprehensive set of preventative measures in place to detect any threats and enhance security of ships and port facilities used in international trade. Gibdock is looking for a part-time driver to drive our bus in the mornings and evenings on a temporary contract. Applicants must have a full clean driving license with Categeory D. Please email your CV to ab@gibdock.com.